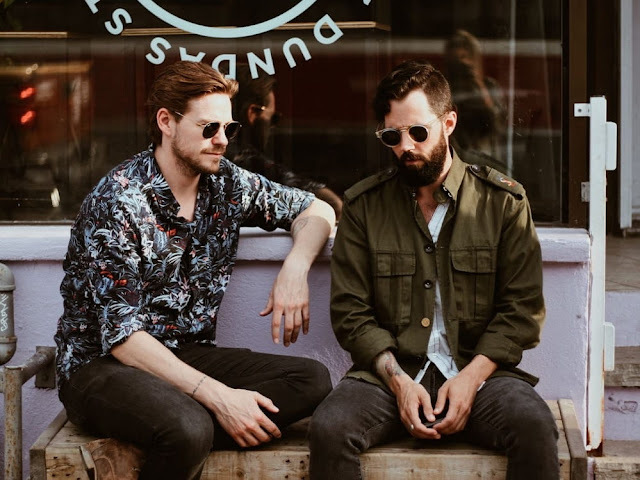 Home / brand new / brand new artist / música / The Man Who / The Man Who Unveil New Single "This High"
The Man Who Unveil New Single "This High"
Toronto's The Man Who have unveiled their brand new single This High. I am in love with this song guys! It is a rock-tinged track with infectious hooks, soaring guitar works, and an overall anthemic vibe to it. A perfect blend between pop and rock and I just want to sing along to it! They remind me a bit of Imagine Dragons and OneRepublic! Really excited with this one! Stream it below! This track is about a high, and the way in which it can consume us to the point where nothing else matters. Whether it’s a drug high, an infatuation high or a plain old natural adrenaline high, we’ve all, at some point, experienced this intense feeling. We are cousins who began writing together in a basement, driven by a desire to challenge the boundaries between rock and pop. Our music reflects this experimental approach in its sound and tells the stories we have collected along the way.